Our Walnut Rita Tree is hardy, productive and semi self fertile, which means it will produce some fruit by itself but more if another Walnut tree of a different species is planted within 100m or so. 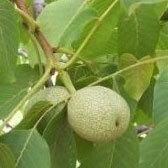 Our Juglans Rita Walnut will bear fruit earlier than the common Walnut because it is a hybrid cultivar. Juglans Walnut Rita is suitable for small garden as it will reach a height of 6-8 metres and you should expect a crop at around 4 to 5 years. 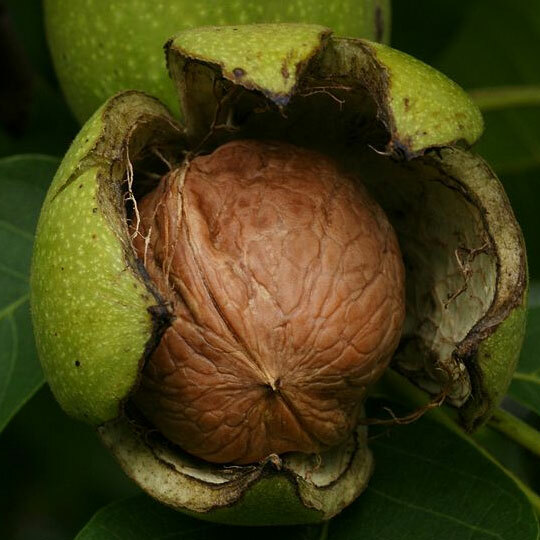 If you get walnuts any earlier than this then you have probably given it the perfect growing environment or someone is playing games with you and gluing Walnuts onto your tree purchased from the shops.